Copy Editor Haddonfield | Proofreader Ocean City | The Write Word Inc.
A copy editor or proofreader can greatly enhance your written works. As a full-time editor with a worldwide clientele, Pat Hadley-Miller of The Write Word Inc. can provide support in many aspects of writing - from getting the words right to choosing the ideal style for your copy and everything in between. To learn more about the important roles of a copy editor and how one can assist you in writing beautifully and effectively, feel free to read through this page. A freelance copy editor reviews all types of written materials for style consistency, spelling, grammar, and punctuation. A copy editor also marks content that is unclear, review tables of contents, bibliographies, headings, captions for pictures, tables, and graphs, rewrite content when hired to do so, and analyze the entire manuscript to ensure that the intended audience - the reader - will not be confused or bored. Most copy editors use the publishing industry's standard style guidelines, such as Chicago Manual of Style (CMS), the Associated Press Stylebook (AP), American Psychological Association (APA), or the American Medical Association (AMA) Style Manual. Or, if hired to do so, a copy editor is qualified to develop a specific style sheet for that particular client. If an author needs an editor who will work one-on-one to develop the manuscript or documentation from start to completion, the author needs a developmental editor and not a copy editor. Most developmental editors work in-house at publishing firms or in marketing departments of large corporations. Developmental editors are usually involved in the entire production process and, if working for an independent author, will charge hourly rates based on the subject matter and tasks required. A proofreader reviews copyedited manuscripts or documents for errors in spelling, grammar, punctuation, and layout. A proofreader is sometimes called the "Third Eye," which means that she or he is the "third" person to review a document. A proofreader is hired after the copy editor has worked on the project, the author (or managing/production/developmental editor) has incorporated the changes, and the document is almost ready to go to press. At one time, a proofreader compared copyedited documents side-by-side to the typeset document to ensure accuracy after copyediting changes had been entered by the production team. This process is often eliminated nowadays because of deadline constraints. However, the human eye of the proofreader is still necessary to ensure an error-free document. Editorial proofreaders combine copyediting and proofreading tasks and charge according to the particular needs of the client. 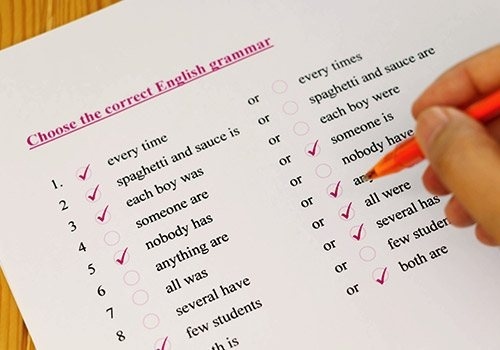 For example, if the author or company needs someone to check grammar and consistency of style as well as perform minor rewriting, an editorial proofreader is qualified to perform all of these tasks and will usually charge a fee according to the tasks performed. Questions? Ask a Copy Editor Today. Do you have punctuation, grammar, or writing style inquiries? Get in touch with a copy editor today for helpful answers. Pat Hadley-Miller of The Write Word Inc. will gladly answer your questions and offer suggestions to make your writing project easier.